As spring sunshine welcomes us outdoors again, we sneak a glance back to last October when the leaves were starting to turn the many shades of fall… The party started with ping pong inside the vibey VIP Room at SPiN New York. After a couple hours of heated table tennis games, we handed out the prizes for “Best in Show”, “Best Team”, “Best Dressed” and more… Closing out the festivities was a rocking performance by the incredibly talented ELIZABETH AND THE CATAPULT!!! 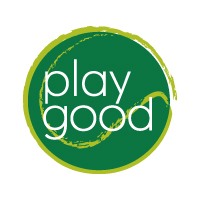 LIKE US on Facebook and FOLLOW US on Twitter @playgood for more news soon about our exciting plans for 2014!